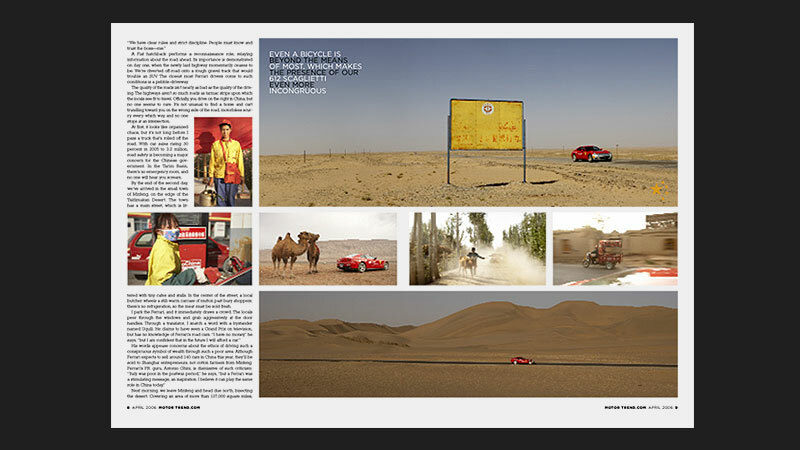 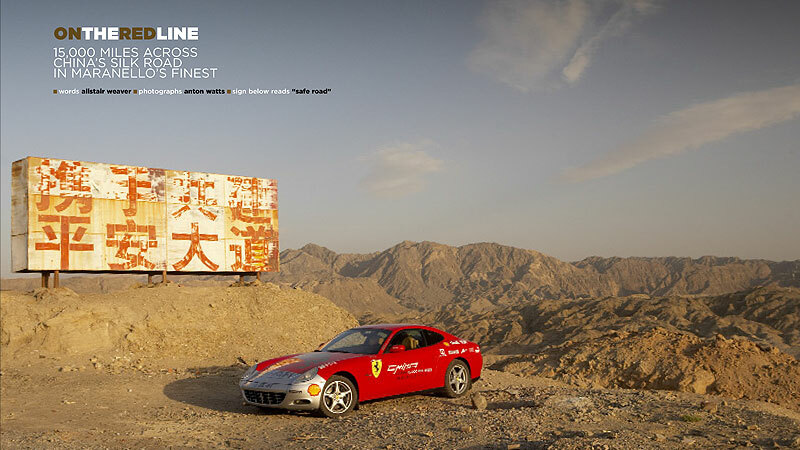 In the mid- to late noughties, Ferrari undertook a series of epic expeditions across far flung corners of the globe. 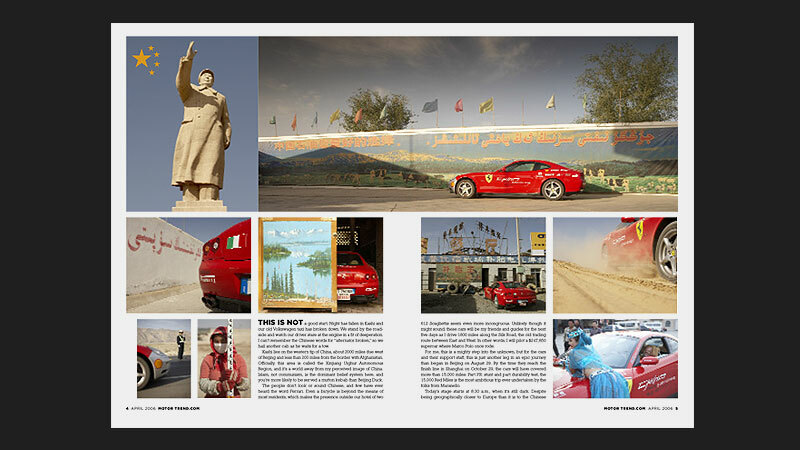 Gaucho’s md, Alistair, was the only journalist to take part in all three expeditions across China, The Americas and India. 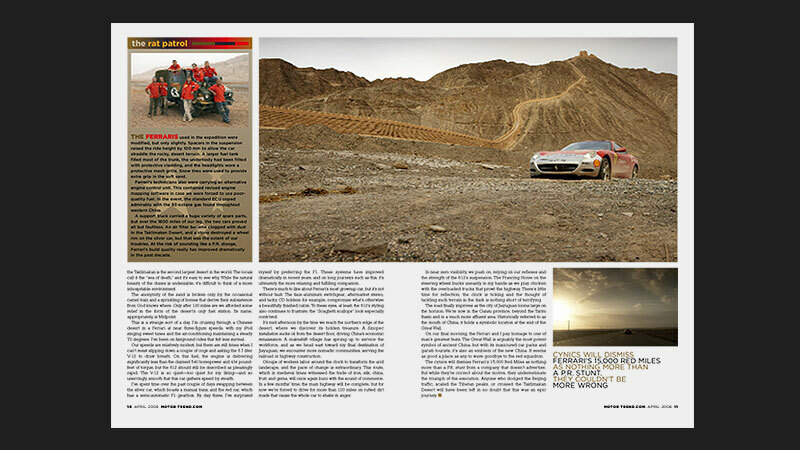 Working with two of the world’s leading automotive travel photographers, Tom Salt and Anton Watts, Alistair produced features for host of publications including Sunday Times, Independent, Top Gear, Motor Trend (US), Motor (Australia) and Octane.